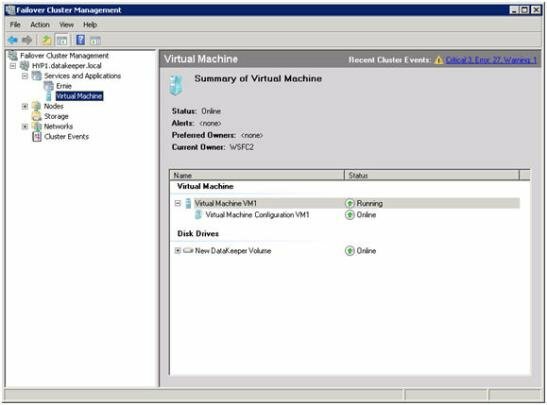 Familiarity with Microsoft Windows Server, Microsoft Windows Failover Cluster Server Management and Hyper-V Virtual Management procedures and commands is highly recommended. 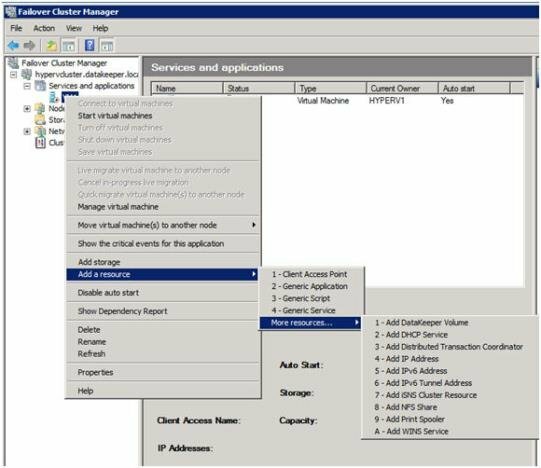 Note: DataKeeper ClusterCluster Edition does not support Cluster Shared Volumes; therefore, when configuring Hyper-V with DataKeeper Cluster Edition, you must have one volume per virtual machine. Before you begin, all the Microsoft Windows Servers in your cluster must be installed and configured as outlined in other topics for this product (refer to “Creating a DataKeeper Volume in WSFC”). In addition, the following products must be installed and configured on each server in your cluster. IMPORTANT: Make sure that Virtual Network Names for NIC connections are identical on all cluster nodes. *IMPORTANT: DataKeeper Cluster Edition registration with Failover Cluster is automatic and occurs 60 seconds after detecting a Failover Cluster configuration on each node. Use the SIOS DataKeeper GUI to configure a job that includes all mirrors and shared relationships for the nodes that are part of the cluster. Wait until the mirrors are in the Mirroring state. For more information about setting up your SIOS DataKeeper environment, see the Getting Started topic. 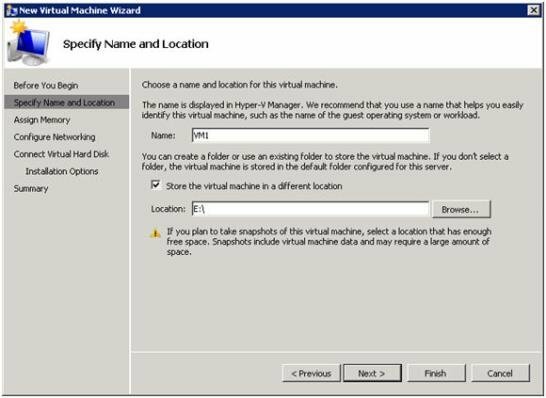 Using Hyper-V, configure the first virtual machine and make sure to specify E:\ in the Store the virtual machine in a different location text box. This setting is in the Specify Name and Location window. Select Finish and then shut down the virtual machine. 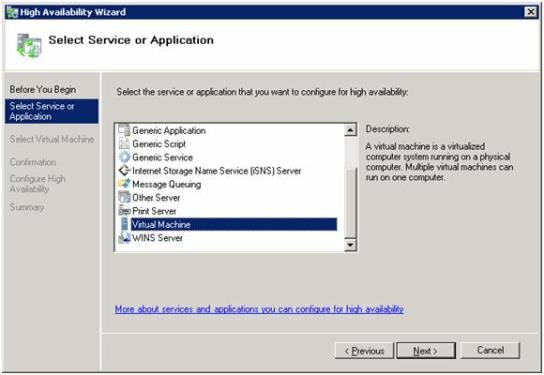 Use WSFC to create a Virtual Server resource choosing to protect the first virtual machine. This option is available under Configure a Service or Application. Add a SIOS DataKeeper volume resource. Right-click on the virtual server resource created in Step #5 and choose Add a Resource, then More Resources -> Add DataKeeper Volume from the context menu. 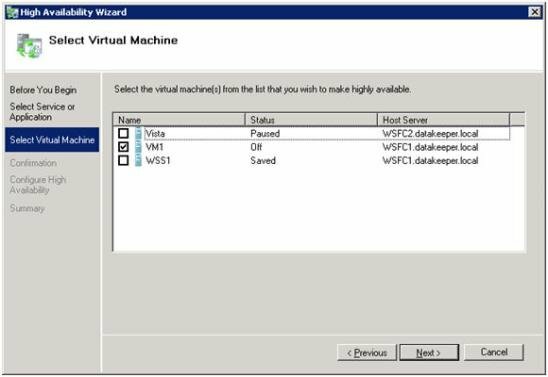 Use Microsoft WSFC Manager, right-click on the Virtual Machine Configuration VM1 and choose Properties. In the Properties window, choose the Dependencies tab and add the New DataKeeper Volume as a dependency. 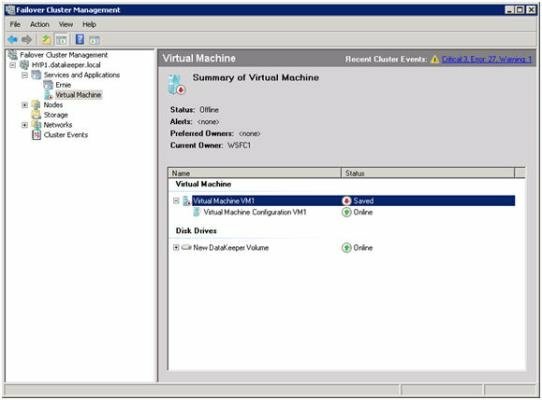 Click OK.
Right-click on the Virtual Machine VM1 resource and choose Start. 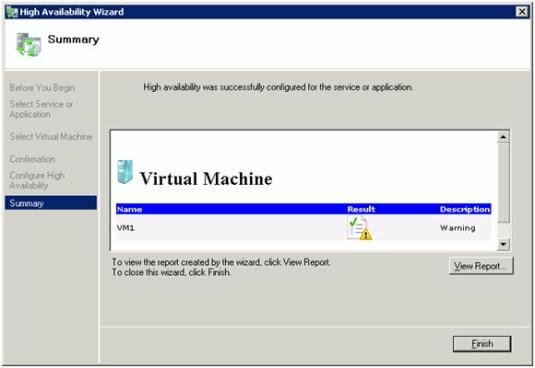 The virtual machine is now online and highly available. Verify that Quick Migration works by right-clicking on the virtual machine resource and choose Move Virtual Machine(s) to Another Node. 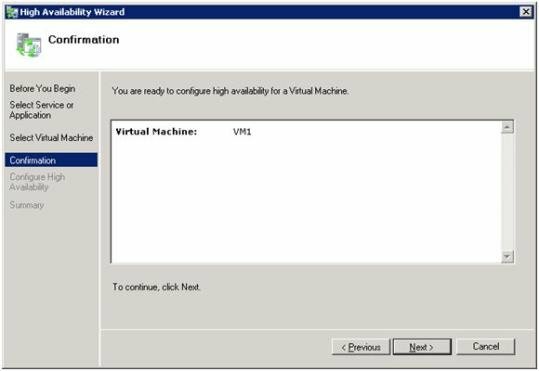 Verify that the virtual machine is now running on the secondary server. 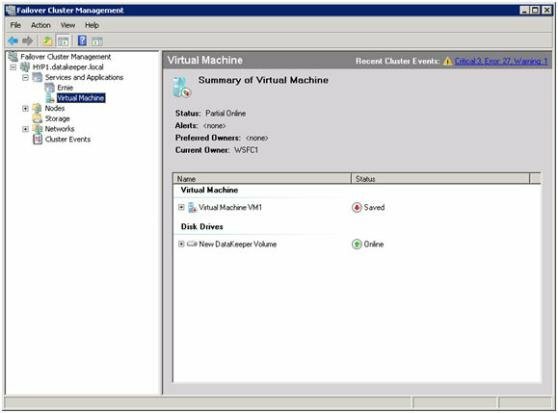 Simulate a catastrophic failure by pulling the power cord on secondary server and verify that the virtual machine automatically restarts on primary server.